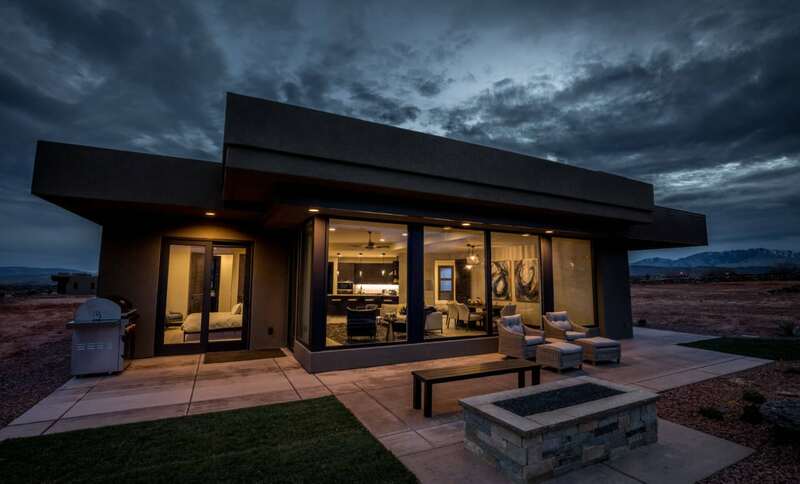 Unobstructed views of black lava flows, towering red rocks, and green golf courses. 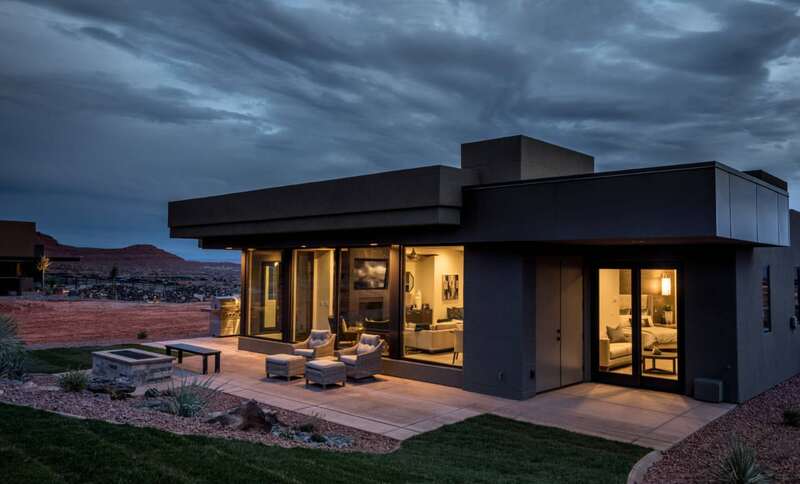 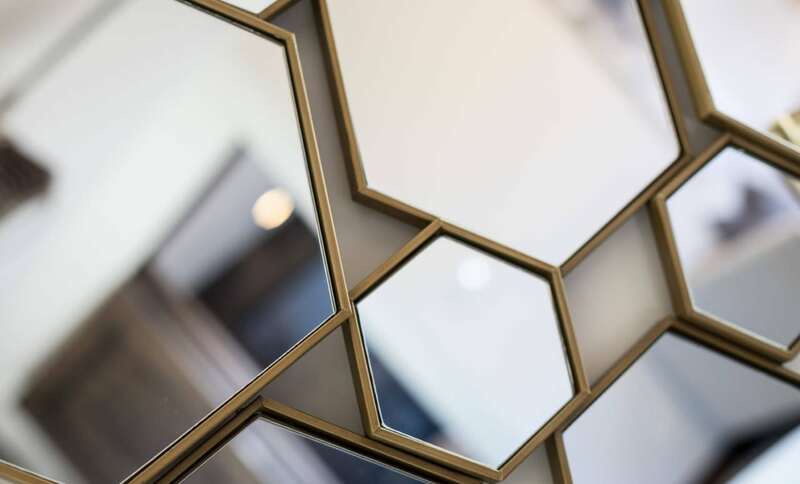 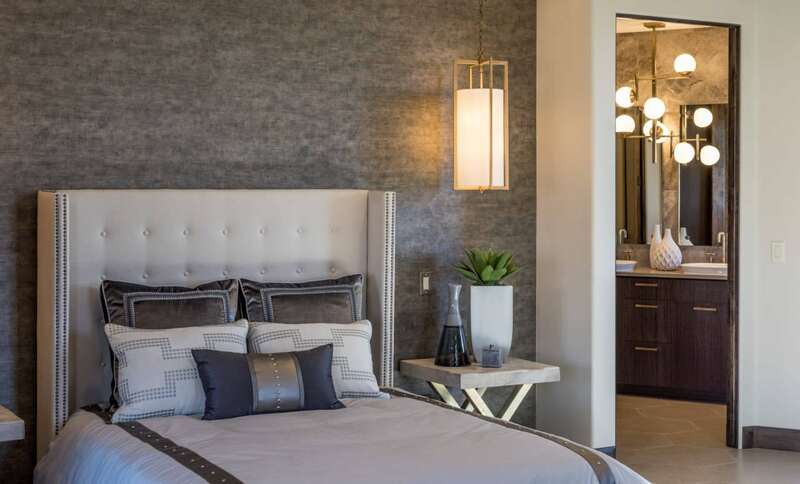 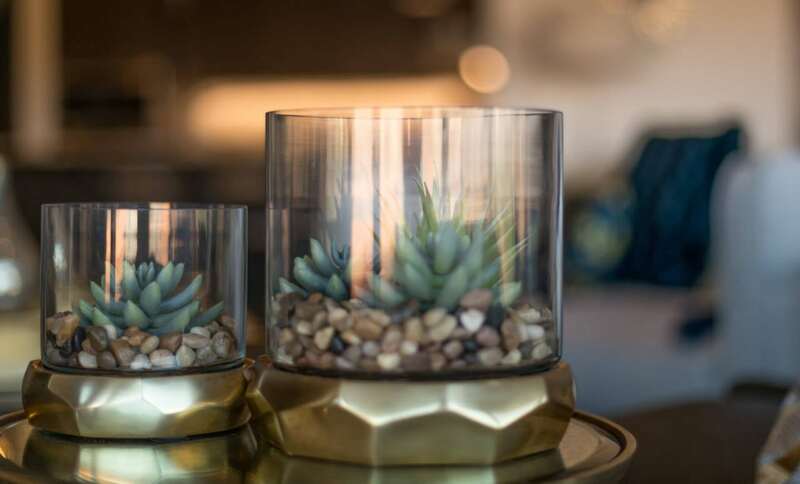 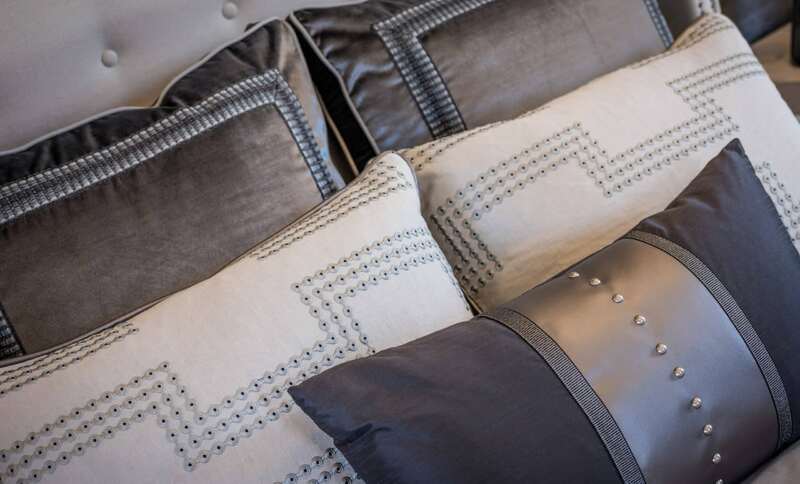 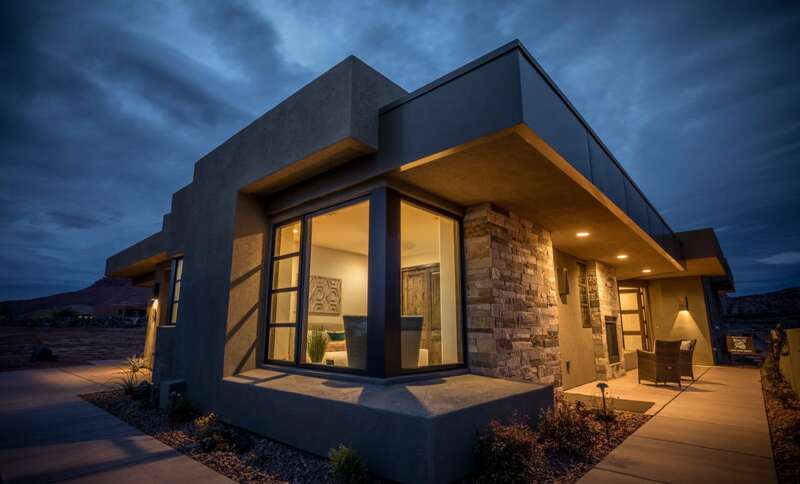 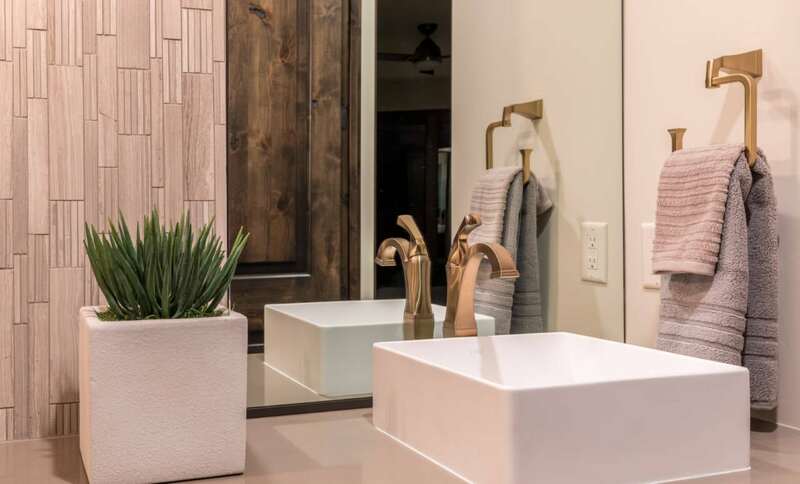 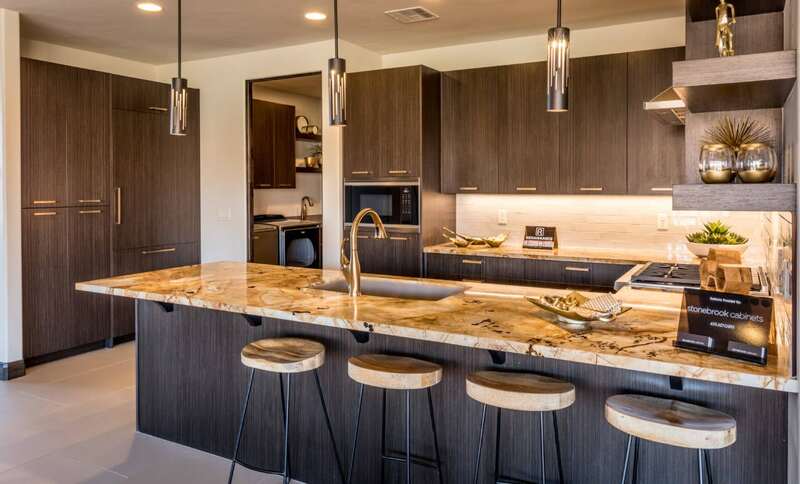 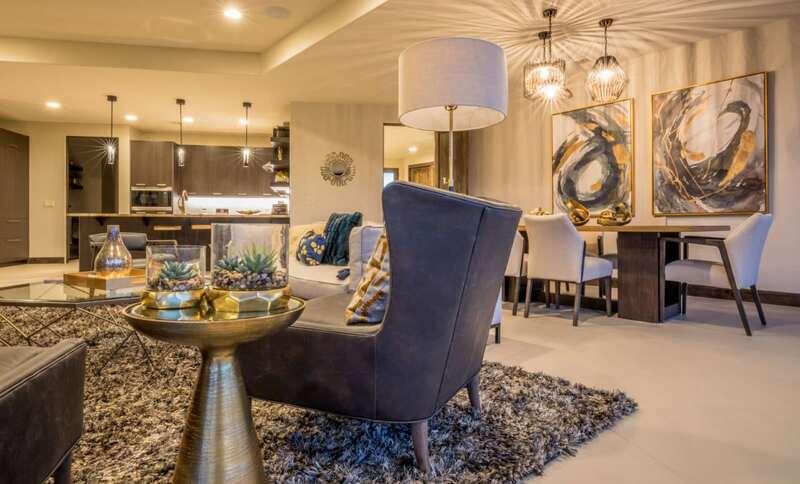 Located in the Encanto Resort in the uncongested Eastern border of Ivins, our Encanto Parade Home welcomes you with sweeping views and luxurious interiors. 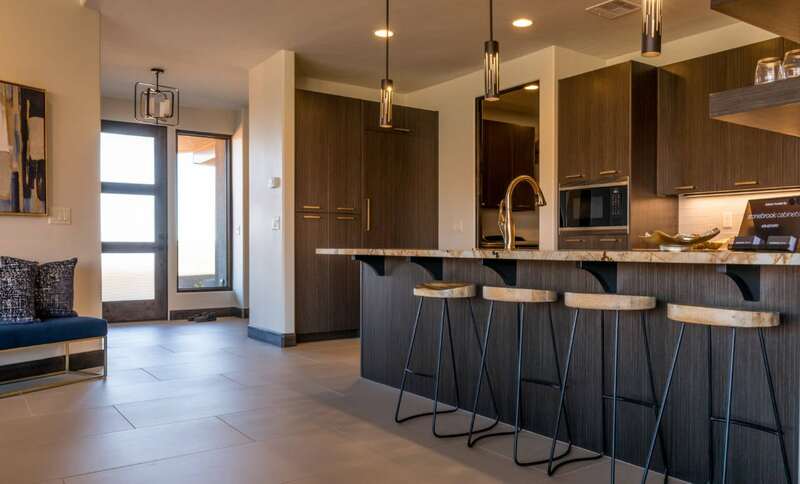 The open floor plan lets you spend time with family and friends after a day of sightseeing, golf, or any number of the year-round Southern Utah activities. 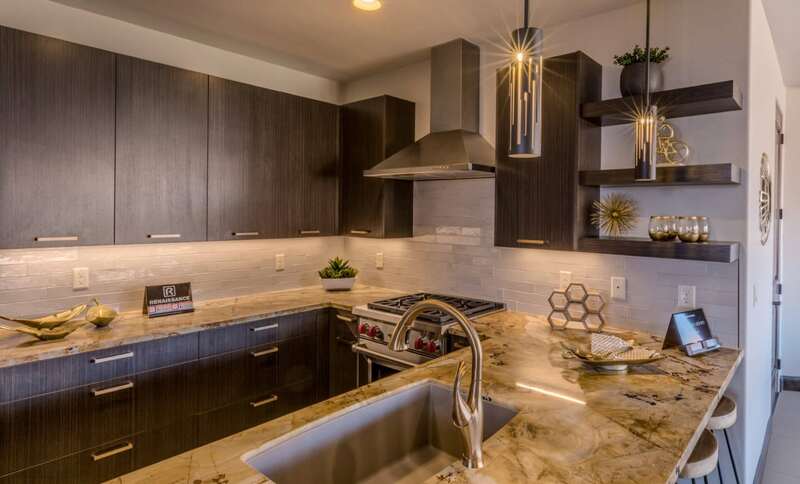 The kitchen features granite counters, Wolf/Sub-Zero appliances, and gorgeous brushed brass accents. 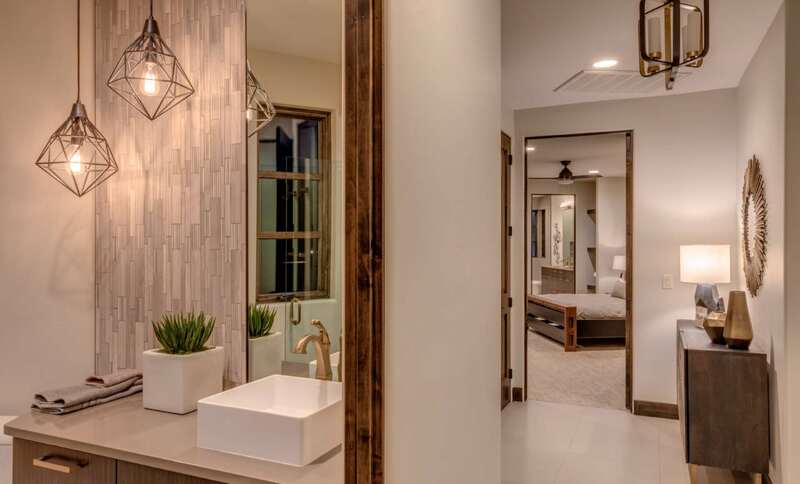 The sumptuous master bedroom is a private retreat with a fireplace, kitchenette, outdoor access, and a gorgeous en-suite bathroom with a soaking tub, walk-in shower, and double sink vanity. 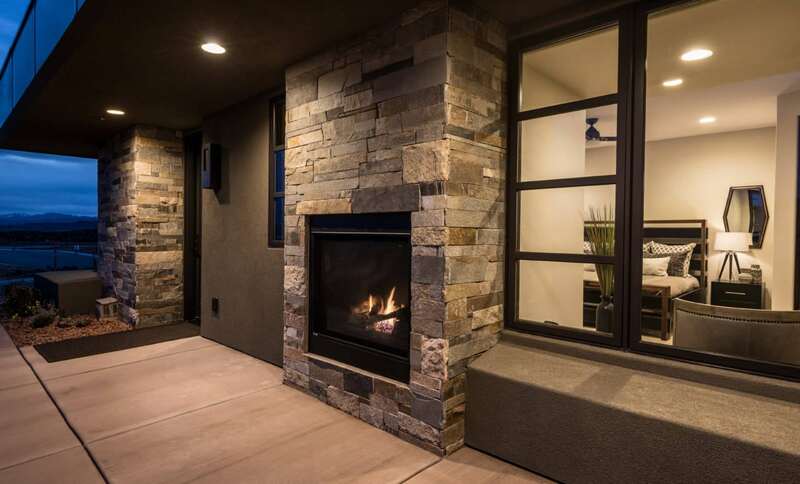 The 1,500 sq ft. clubhouse amenities include pickleball courts, pool, spa, grass area and fire pits for s’mores and stargazing. 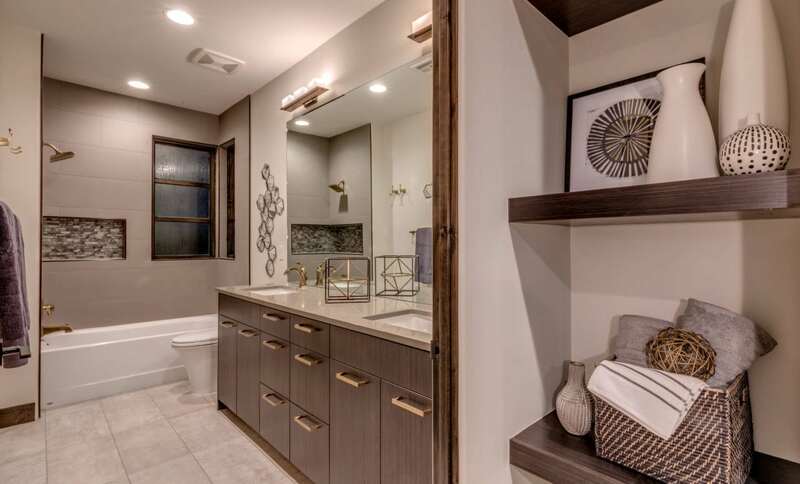 Brian Geer Development & Construction, Inc.